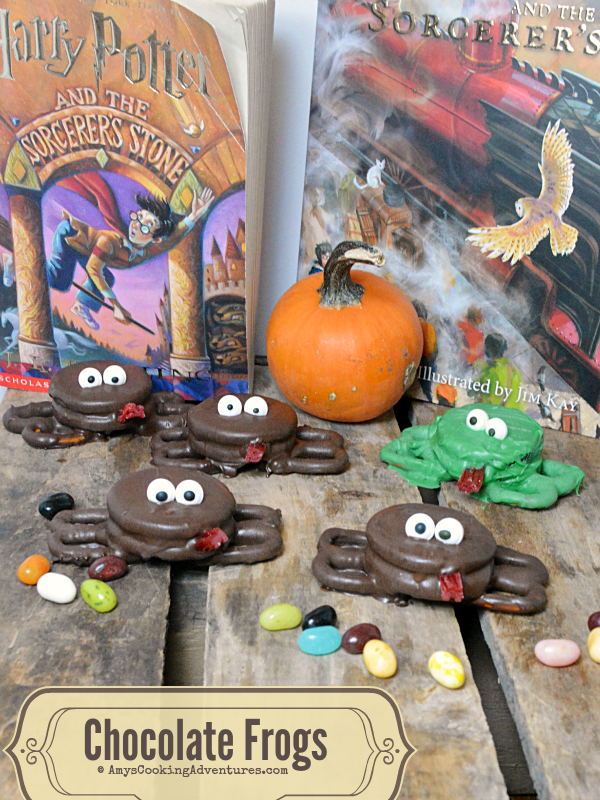 I’m jumping in with the Book Club Cookbook Cooking Crew this month, because Erin, at The Spiffy Cookie chose one of my all-time favorite books: Harry Potter and the Sorcerer’s Stone. Added to the fact that it’s my favorite book/series, I very recently purchased the illustrated version of the novel and decided to introduce my boys to the magical world of Harry Potter. Back to the book club! To participate, bloggers read the selected book and then make something inspired by the book. In this book, there are small mentions of Christmas roast and such, but the wizard sweets are the main event. My boys were very intrigued by Bertie Botts Every Flavored Beans. But since I wasn’t interested in trying to make ear wax flavored candies, I bought a box for them to try instead. 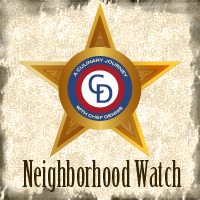 They got toothpaste, rotten egg, and canned dog food and vowed never to eat a jelly bean again. Told ya so, kids. 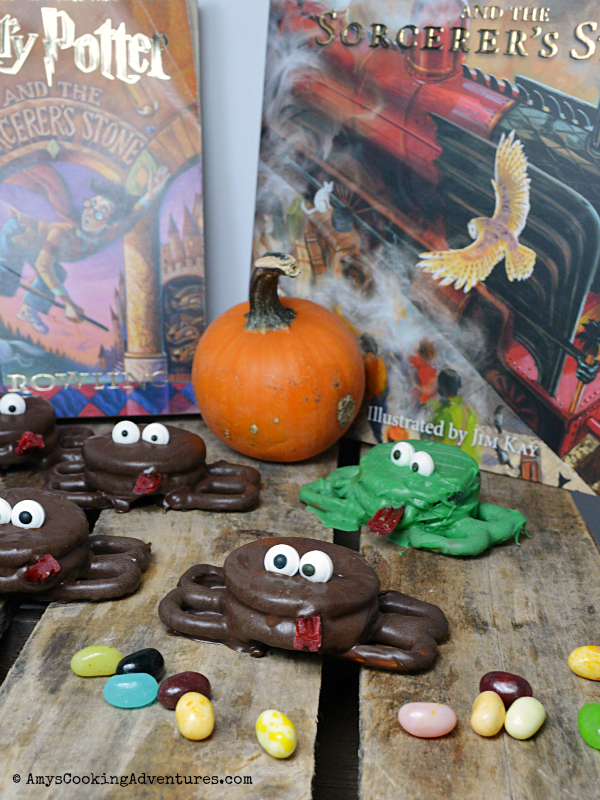 For the actual recipe inspiration, I made chocolate frogs. I knew it was possible to buy a chocolate mold and make some yummy, filled frog candies, but instead, I wanted to use ingredients I had on hand and make some cutesy little frogs the kids would like! In fact, these end up being very similar to my Melted Witch Bark Bites and Sorcerer’s Apprentice Bark Bites. Actually, either of the Bark Bites work well for Harry Potter, too! Pointed hats and broomsticks and all! The chocolate frogs couldn’t be simpler. Pretzel twists and Oreos are dipped in melted chocolate and stacked with candy eyeballs! 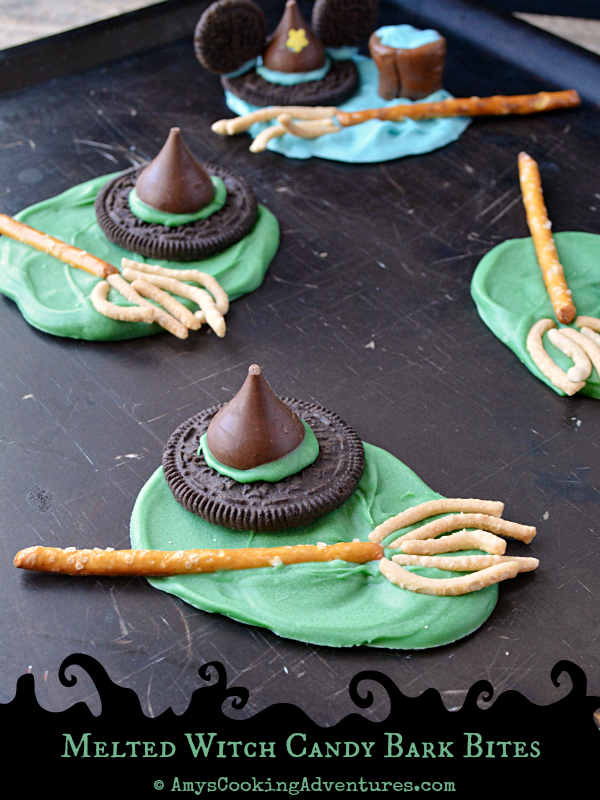 10 minutes in the refrigerator and you have a fun, kid-friendly Harry Potter inspired treat! Dip the pretzel twists into the melted chocolate, covering completely then tapping gently to remove excess chocolate. Place the pretzels on the prepared baking sheet in pairs, the tops of the pretzels just touching. Next, dip the Oreos, covering completely and tapping to remove excess chocolate. Place 1 dipped Oreo on top of each pair of pretzels. While the chocolate is still wet, carefully balance 2 candy eyes on top and a piece of licorice for the tongue on the side. Place the tray in the refrigerator for 10 minutes to allow the candy to set. Then enjoy! 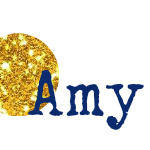 Perfect Amy....I was so tempted to do chocolate frogs. I was even going to make a Dumbledore trading card to go with it but I had just made the chocolate witch suckers and was afraid it would be redundant.